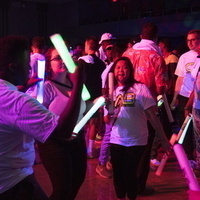 Don’t miss NIU’s epic Glow in the Dark Dance Party! Decorate a free t-shirt with highlighters or wear fluorescent clothing and glow-in-the-dark accessories to dance the night away in things neon. We bring the black lights, you bring the party! Brought to you by the Campus Activities Board and Campus Dining. The post has everything about I was searching for. I am extremely wanted to read your posts. The structure for the article is extremely vital to make the reader agreeable in reading. A few posts are having great data yet it is exceptionally troublesome for the readers to comprehend it in the primary read. The articles are just useful it can share best learning to the readers in the primary read. You have shared such a decent post. I have read the post and I didn't have any disarray about the data. Continuously keep up this quality in every one of the posts.